But I couldn’t just stop at buying the beer and calling it good. You know – because I’m crafty and all? I had to “snaz” it up and give it my special touch. 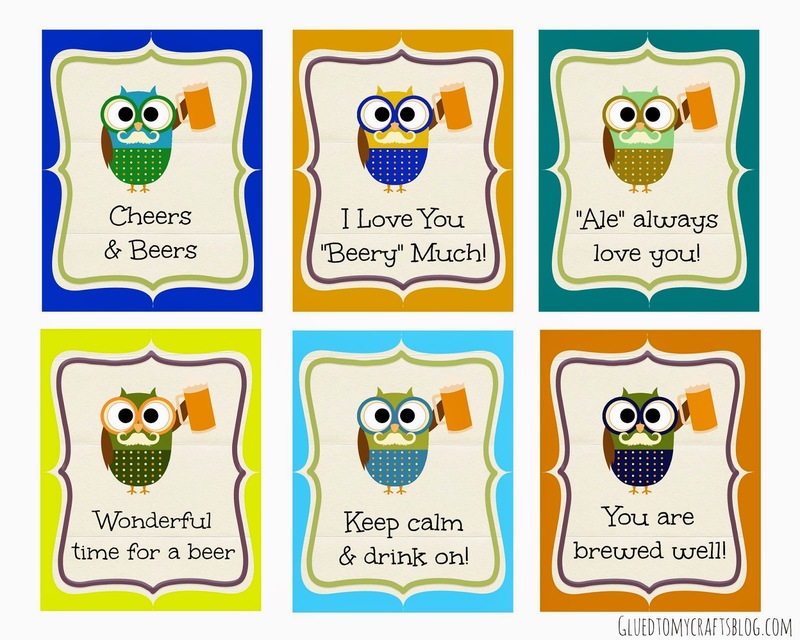 So that is how today’s blog post was born and these “Beer Gift Tag Printables” were created. * Trim out each square. * Using the hole punch – punch a hole towards the top. * Use the baker’s twine to tie the gift tag to the bottle.